CARLOS THE JACKAL, once one of the world’s most-wanted militants, will face a fresh trial for a grenade attack in Paris in 1974 that killed two and injured 34, sources close to the investigation confirmed today. The 64-year-old Venezuelan, whose real name is Ilich Ramirez Sanchez, has been held in French jails since 1994 after he was arrested in Sudan and transferred to France following a series of attacks and murders in the country. In 1997, he received his first life sentence for the murder of a civilian and two policemen more than two decades earlier. Then in 2011 he was found guilty of masterminding attacks on two French passenger trains in 1982 and 1983, a train station in Marseille and a Libyan magazine office in Paris. Carlos was given another life sentence for his role in the attacks that left 11 people dead and nearly 150 injured. But he has denied any involvement in the attacks and said during the appeal that the evidence gathered from intelligence files against him was unreliable. On Friday, an anti-terrorism judge decided to send him to a special court in Paris to face charges of premeditated murder for his alleged role in the 1974 grenade attack on a pharmacy in an upmarket district of Paris. At the time still little-known, Carlos rose to international prominence a year later when his commando group burst into the conference room where ministers from the powerful OPEC oil cartel were meeting in Vienna, taking 11 people hostage. Email “Carlos the Jackal to face new murder trial over 1974 grenade attack”. 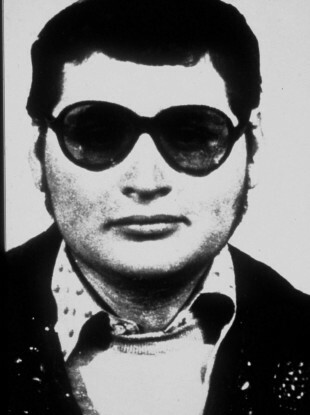 Feedback on “Carlos the Jackal to face new murder trial over 1974 grenade attack”.